"Food and beverage packaging is an important part of our modern lives, but that doesn’t discount the fact that there is a waste problem in the country and around the world." – Gilda Maquilan, sustainability manager of Coca-Cola Philippines. 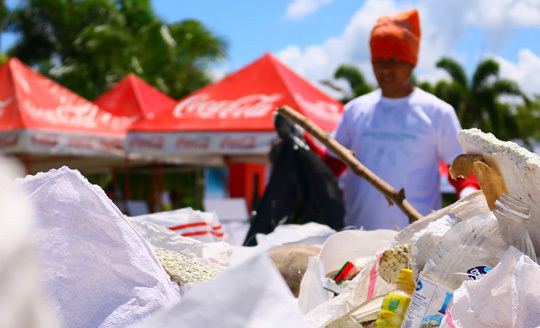 During the recent International Coastal Cleanup day, the whole Coca-Cola system in the Philippines supported and participated in massive cleanups along various shores in the country where the company’s facilities are present. PICK UP TRASH. 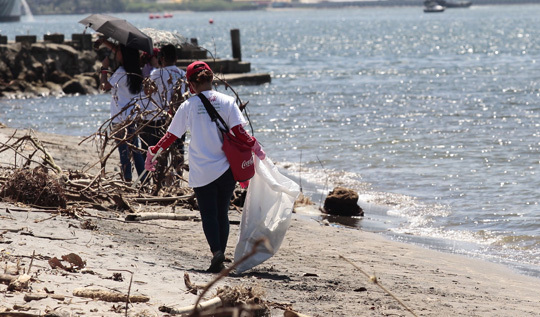 Associates of Coca-Cola Philippines join the International Coastal Cleanup 2018 in Subic Bay, Manila Bay, and in other locations nationwide. Since 1995, the company has supported the ICC and Ocean Conservancy through educational outreach, community engagement, research, industry collaborations, marketing, and more. “Food and beverage packaging is an important part of our modern lives, but that doesn’t discount the fact that there is a waste problem in the country and around the world,” said Gilda Maquilan, sustainability manager of Coca-Cola Philippines. The seemingly clean coasts of the former US naval base of Subic in Zambales revealed a trove of trash--from shampoo sachets to plastic bags with human waste. 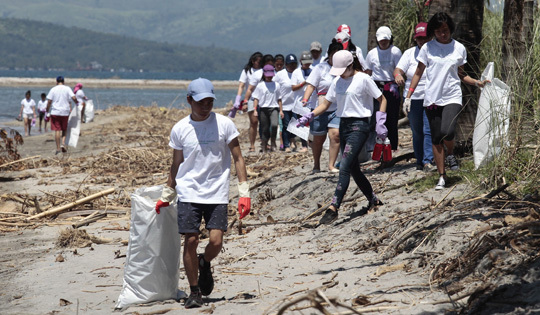 Over 19 coasts across the Philippines, including the shores of Subic Bay in Zambales and Roxas Boulevard in Manila, were lined with people—some of them associates of Coca-Cola Philippines and their families—picking up all kinds of rubbish found on and beneath the sand. During the coastal cleanup, the waste collected was sorted into various categories. Collected recyclables were properly turned over to junk shops to give them a second life—thereby creating shared opportunities for the informal waste sector and the whole recycling industry. Earlier this year, The Coca-Cola Company unveiled its global vision of a “World Without Waste.” The aim of the initiative is for the company to be able to retrieve every bottle or can that it produces by year 2030. Recyclable PET bottles, which have been used as poster image by groups in their campaign against plastic waste, are one of the highly collected and recyclable forms of plastic. Since they are considered a resource, due to its high-value post consumption, recyclable PET bottles do not have to end up in oceans and dumpsites. Children join their parents in collecting trash during the International Coastal Cleanup 2018 in Subic Bay, Zambales. “With proper knowledge, system, and facilities, recyclable PET bottles can be an easily accessible resource that can become more than their initial use. We will continue to work hand-in-hand with government agencies, non-government organizations, and local communities to help develop a collection and recycling system that will meet the needs of the country,” said Maquilan. Volunteers of all ages come together to collect various forms of waste from the shores during the recent International Coastal Cleanup day. 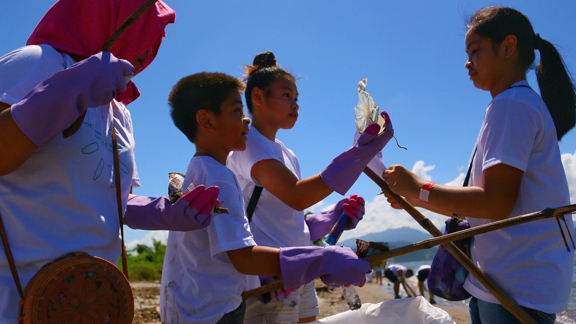 During the International Coastal Cleanup Summit, Coca-Cola Philippines hosted Hackapack—a hackathon among student participants to help find new solutions in collecting and recycling PET bottles.